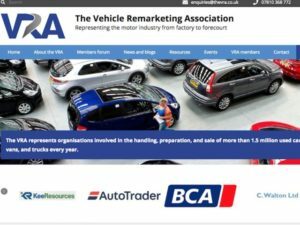 Revolutionary developments in digital technology are to be spotlighted at the July meeting of the Vehicle Remarketing Association. Taking place on 11 July at Geldards in Derby, the event will include presentations on ‘How to Thrive in a Competitive Digital Marketplace’ by Nick King, director of insight at Auto Trader and ‘The Current State of Online Motor Retail in the UK’ by Rob Severs, VP data and insight at iVendi. There will also be an analysis of the current used car sector by Derren Martin of Cap HPI. Glenn Sturley, chair at the VRA, said: “There have been dramatic shifts in how vehicles are remarketed over the last few years thanks to digital technology and we expect there to be more in the near future. The VRA has also launched a new website designed to provide members with a greater range of methods to interact with each other and with the VRA board, including forums, blogs, regular news sections and more.